Maxwell Forever: Buy Pre-owned with confidence! 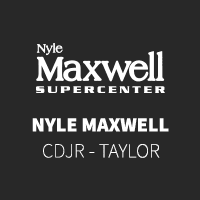 If you’re looking to buy a Pre-Owned Car, Truck, or SUV you can buy with confidence at the Nyle Maxwell Family of Dealerships. Every one of our eligible thoroughly inspected Pre-Owned vehicles comes with our Maxwell Forever Lifetime warranty. We guarantee the Engine and Transmission FOREVER!